Stylish duplex in Country Club North. The custom bay window sets the focal point from the exterior to the interior of the home and creates the living room into a sunny santuary to enjoy with fireplace and tall ceilings. The main floor has formal dining, powder room, pantry, family room with fireplace & entertainment built-Ins. The kitchen has timeless raised panel cherrywood cabinetry, black granite countertops, stainless appliances with a gas stove. The courtyard patio makes for a great grilling area with room for planters and patio decoration. 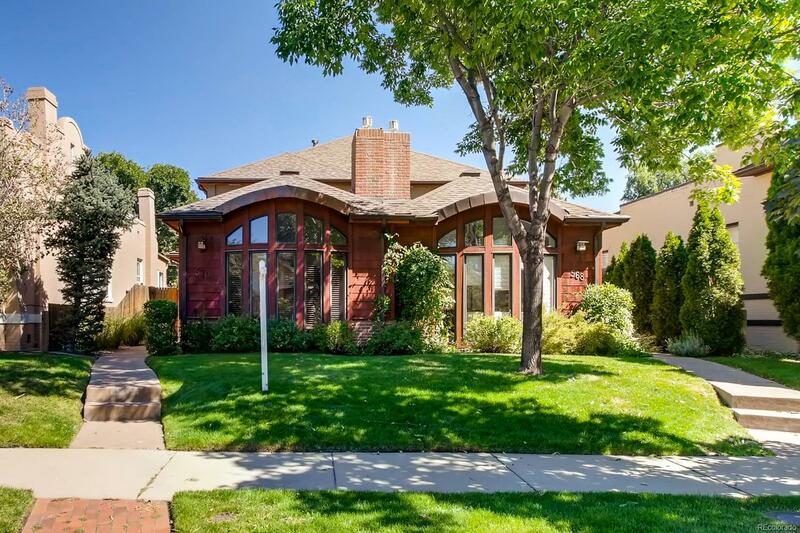 Nice features include newly refinished cherry floors, wood trim and solid wood doors. The upper level master bedroom has a trayed height ceiling, five piece bath and walk-in closets. The basement level with high ceilings has the 2nd family room, full bath and two additional bedrooms. This central location makes it a wonderful walk to closeby restaurants & shops. Safeway & Traders Joeâs are close and Cherry Creek shopping is still close by.